Stephen graduated from the University of Alabama where he played on the golf team. He has been the Director of Instruction at Gleneagles Country Club for 13 years and was awarded the 2014 NTPGA – Teacher of the Year and the 2014 ClubCorp – Teacher of the Year. Stephen is the Director of Instruction for the FlightScope Academy Team. He trained under Hank Haney for 10 years, where he was promoted from teaching assistant to director of instruction. In 2009, he was awarded the PGA’s highest designation, Master Instructor. He is a PXG Advisory Staff member and has taught golf in thirteen countries and in every major championship. He has helped numerous professionals on the PGA and European Tour, but enjoys teaching golfers of all levels. Stephen is AimPoint and TPI certified. 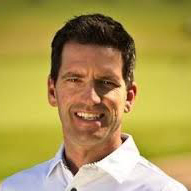 He has been featured on the cover of Golf Illustrated magazine four times and is the author of “The Golf Swing – Six Steps To Your Best Swing”.